1.1 PureFinancialAcademy.com is an online educational web site only, owned and operated by Pure Financial LLC (herein referred to as PFA). This terms and conditions is an agreement you must accept in order to use PFA's services or software, INCLUDING THE BINDING ARBITRATION PROVISION CONTAINED IN SECTION 1.11. YOU MUST BE EIGHTEEN (18) OR OLDER TO ACCESS THIS SITE AND ANY MATERIAL PROVIDED BY PFA. Information contained throughout the site may be provided by sources that are not affiliated with PFA. The accuracy, reliability of such information is believed to be reliable. However, PFA does not warrant the accuracy, completeness, quality, adequacy, or content of any information on our website. Such information is provided ‘as is’ without warranty or condition of any kind, either expressed or implied. 1.2 PFA is not a Commodity Trading Advisor (CTA) or a Registered Investment Advisor (RIA), or a broker-dealer. Trading has both potential risk and rewards. Any trades placed upon reliance on PFA services or software, are taken at your own risk. Your account can be lost in it's entirety at any time. Past performance is not necessarily an indication of future performance. PFA makes absolutely no guarantee or representation that any account will, or is likely to achieve profits or losses similar to those shown or discussed. All PFA services and software are not to be interpreted as investment advice. PFA may have positions in any asset class mentioned and is under no obligation to disclose details regarding any of their transactions. 1.3 All statements and expressions of opinion made by PFA are the opinion of PFA and its associates, and are not meant to be a solicitation or recommendation to buy, sell, or hold any securities or commodities including but not limited to futures, options, equities, or forex. Any presentation (live or recorded) is for educational purposes only and the opinions expressed are those of the presenter only. All trades presented are not traded in a live account and should be considered hypothetical. All trade alerts and or notifications are strictly for educational purposes only. 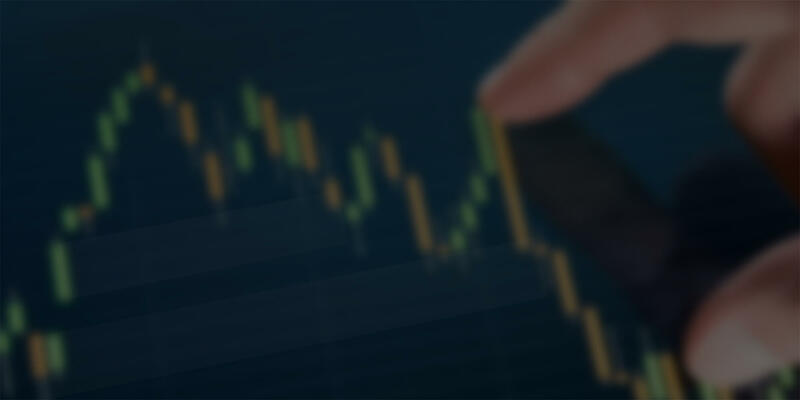 1.4 All trade alerts, calls and or notifications whether verbal, email, text, visual or by any other means, are strictly for educational purposes only, and are not meant to be a solicitation or recommendation to buy, sell, or hold any securities or commodities including but not limited to futures, options, equities, or forex. All trade alerts should be considered hypothetical. 1.6 You agree that you will not allow anyone else access to, nor will you attempt to copy or duplicate any PFA services or material without written permission from PFA, including but not limited to all software, video, audio and written material. No member may communicate to non-members any PFA materials or other information, or reveal PFAs' view of or position in any asset class, without written permission. You agree that you will be solely responsible for any liability arising from any third party access including but not limited to financial responsibility. You agree to refrain from any form of slander, or defamation both online and offline. PFA reserves the right to revoke your license to all membership(s) and/or software if the terms set forth in these terms and conditions are breached, without refund or notice. 1.7 Any software provided by PFA is used entirely at your own risk. PFA software is strictly for educational purposes only. PFA makes no representation that any software will or is likely to achieve profits or losses similar to those shown or discussed. PFA software should be used only as an educational tool and NOT relied upon for any live trade decisions. PFA makes no representation that the operation of the software will be uninterrupted or error-free, and PFA will not be liable for the consequences of any interruptions or errors. All software is provided ‘as is’ without warranty or condition of any kind, either expressed or implied. 1.8 The term(s) "lifetime", "perpetual" and or "unlimited" are defined here as 'the amount of time the product or service purchased remains available for purchase on the domain purefinancialacademy.com', and may be subject to change without notice. PFA MAKES NO GUARANTEE OR REPRESENTATION AS TO HOW LONG A PRODUCT OR SERVICE WILL BE OFFERED OR SUPPORTED INCLUDING BY NOT LIMITED TO MEMBERSHIPS, SUBSCRIPTIONS, SOFTWARE AND LICENSES. 1.9 Software purchased with a "lifetime", "perpetual" and or "unlimited" license, includes free updates for a period of one (1) year from the purchase date. After the one (1) year period, update(s) will require a maintenance fee. The fee amount will be twenty (20) percent of the "current" purchase price of the corresponding product. The completed maintenance fee payment will extend the software license, free update period, one (1) year from the payment date. 1.10 If you require remote support at anytime PFA holds no responsibility to any actions made on any computer at anytime and can not be held liable in any way. By requesting or accepting a request from a PFA representative to give live remote assistance, you accept full responsibility for changes made to the computer content or system settings. PFA does not assume and is not responsible for any liability for the linking and viewing of any computer content. As such, PFA recommends you remain at your desktop and observe for the entirety of the session. 1.11 NO REFUNDS OR EXCHANGES ON ANY PURCHASES. Due to the immediate access to our online Course Material, Recordings, Digital Files, Software or LIVE Training Room offered by PFA, there is a strict NO REFUNDS POLICY. PFA does not offer a refund nor an exchange for any reason. We encourage our guests to do their due diligence in order to make an educated decision. If you wish to cancel your subscription at anytime, you can do so from within your User Profile (if applicable) located in our members area. Cancellations must take place a minimum of 24 hours before the beginning day of your billing cycle. You are responsible for cancellations and all payments that take place. We both (you and PFA) agree any dispute or claim relating in any way to your use of any PFA Service, or to any products, software or services sold or distributed by PFA or through purefinancialacademy.com will be resolved THROUGH FINAL AND binding arbitration, rather than in court. You hereby agree to waive any class action proceeding or counterclaim against PFA, its affiliates, successors or assigns, whether at law or equity, regardless of which party brings suit. 1.12 We may revise these terms from time to time, the most current version will always be at purefinancialacademy.com/terms-and-conditions. If the revision, in our sole discretion, is material we will notify you via an email to the email associated with your account. By continuing to access or use the services or software after those revisions become effective, you agree to be bound by the revised terms. By accessing PFA services or software, you are agreeing to all of the terms above and you accept full responsibility for your trading and investing results.